This Halloween will mark my other half, Steven, and I’s 1 year anniversary of the first time we visited Denver. We were in town for a few days to hang with good friends, go to the Saints vs. Broncos game, and ended up at Atomic Cowboy on Halloween. This year, we’re going back to Atomic Cowboy for “good measure” or to “come full circle”. 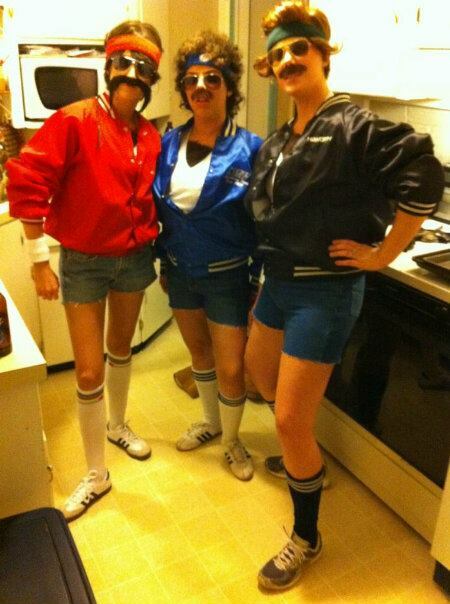 However, we’ll have sweet costumes this time! 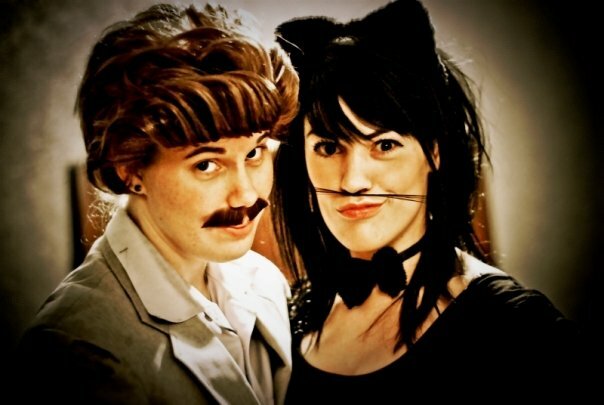 Halloween 2009: Ron Burgundy and a kitty cat. Left to Right: Kirsten and Sally. 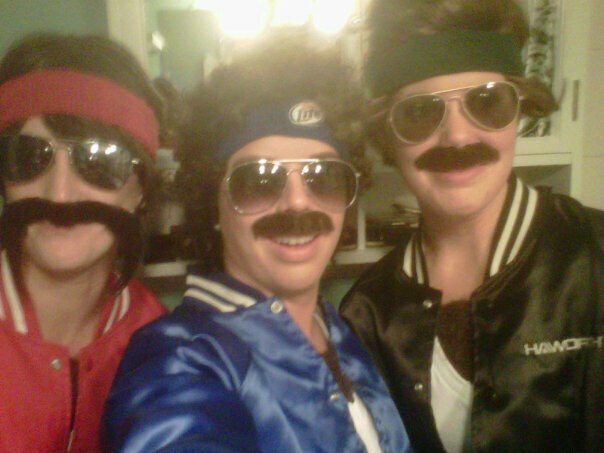 I got thrown into a dresser that night! 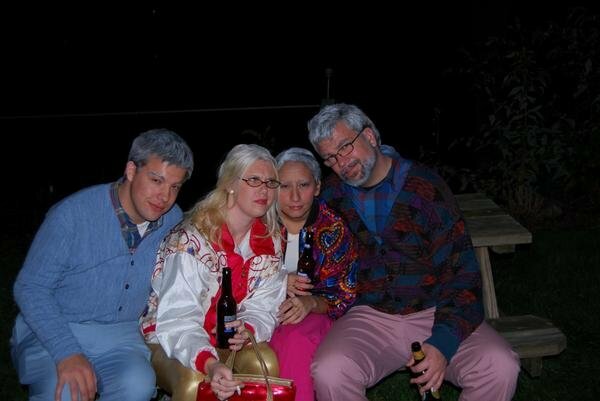 Halloween 2008: Old people rule. Machete looked just like his dad! Left to Right: Steven, Kirsten, Mallory, and Mike (Machete). Everyone have a safe and fantastic Halloween! Can’t wait to see the costumes.